Lydia Ivanova was among the Russian elite until the Bolsheviks revolutions forced her to flee to China with her mother. But survival is hard. Lydia has a fierce spirit. Nothing can dim it, not even the foul waters of the Peiho River. Into the river's grime bodies are tossed - those of thieves and Communists alike. A reminder that every time Lydia steals from someone to feed herself and her mother, she takes her life into her own hands. Even though mother and daughter live in the Whites-only settlement, no walls can keep Lydia in as she escapes to meet her lover, Chang An Lo. But Chang has enemies who are hunting him down, and their all-consuming love can only mean danger for them both . . . 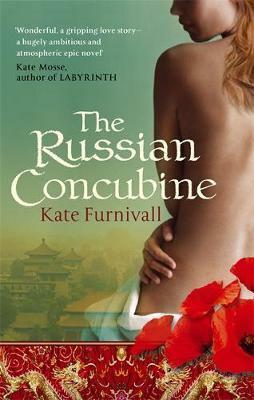 The Concubine's Secret and The Jewel of St Petersburg are also available to buy NOW in paperback and ebook.